Get the perfect fit and features with The Zoom. The Zoom has the best features with 8" wheels, large padded seat, and under seat pouch. Available in several colors. I have a two story home and have purchased 2 of these. 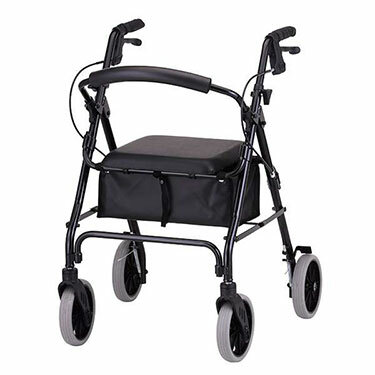 Be sure when you purchase a walker like this that it has brakes tha hold both moving forward and backward. I am 96 and have tried several. This one really fits me. Without it, I would not be able to be mobile. California Residents WARNING: This product contains chemicals that are known to the state of California to cause cancer, birth defects or other reproductive harm. This product complies with all state and federal safety standards.